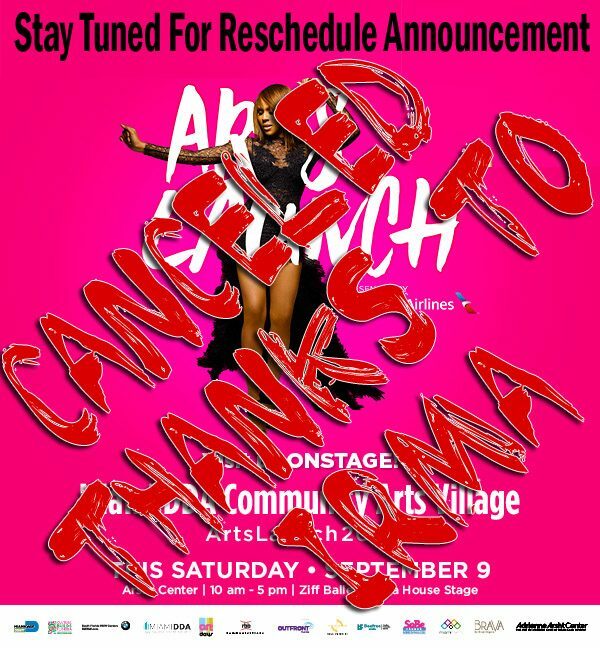 THIS EVENT HAS BEEN CANCELED BY THE ORGANIZERS DUE TO THE DANGER OF HURRICANE IRMA. Join us ONSTAGE at the Arsht Center on Saturday, September 9th at the Miami DDA Community Arts Village at ArtsLaunch2017! We will be amongst 100 of our fellow Miami arts & cultural organizations showcasing our upcoming season. Come learn about our latest happenings and grab some goodies.